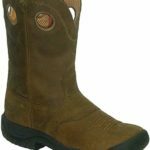 So, you are looking for the best motocross boots for your dirt bike? If you had a gun to my head, I would quickly grab Sidi Crossfire 2 SRS motocross boots without a second thought. I’ve had these boots for 9 months now, and they are still going stronger than I had anticipated. In my experience, I feel that the SRS 2 is a confident boot with top-level protection that seems to have been conceived with off-road riders in mind. This boot feels sturdy. It’s also highly flexible and durable, and I mean REALLY durable. I also find them super comfortable and damn good looking. The only problem? This boot is expensive. You could get up to 5 boots from other brands at its price. However, if you have enough bucks to splurge on a high-end surefire protective gear, just pull the trigger and get this bad boy. You might also want to go for these if you don’t want to spend on motocross boots each season. Trust me. You’ll be glad you did. 1 Why the Sidi Crossfire 2 SRS Motocross Boots? 1.2 You must be looking for a flexible boot, right? 1.3 Tell me more about the Buckles? 1.4 How do your toes feel inside this boot? 1.5 Did you note its heel detail? 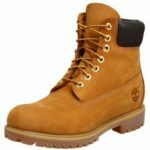 1.6 How durable is this boot? Why the Sidi Crossfire 2 SRS Motocross Boots? May I be honest with you? One of the key reasons why I won’t be going back to my old trustee from Alpinestars is because I had to slip into a bootie before putting it on. Sure. There is no objection that a bootie adds an extra layer of protection to my feet. However, I find Crossfire 2 SRS less bulky than my previous model. Again, I feel that I’m in better control of the shifter lever, the rear break, and the footpeg. I also get a lot of direct feedback from the motorcycle since there’s one less sole to deal with. In the same vein, my previous bootie retained a lot of heat which was more of a problem, especially when riding for longer distances and in warmer months. You must be looking for a flexible boot, right? You’ll believe me when I say that nothing is so dangerous than a boot that won’t let you kick the shifter or the brakes in time, right? I’ve worn boots that were so stiff for me to apply these 2 controls in time. As you can know, this is not only inconvenient but extremely dangerous. So, what does Sidi Crossfire 2 offer us? This boot features a Dual Flex System. Here, we get 2 pairs of hinges one positioned at the ankle and another one at the calf. What this system does is that it allows a lot of flex. As such, you’ll have a whole range of motion and stepping comfort. This flexing design also minimizes any risks of hyperflexion and hyperextension. Tell me more about the Buckles? I was also really pleased with this boot’s buckles system. They are cam-lock style and are designed to offer incredible ease of use even with your hand gloves full of mud. They actually have a lip at the back that makes flipping up super easy. That’s not all! These buckles also have a little wiggle since they are held in place by a single screw. Does it matter? Sure! I feel that it does (and I’m not alone). That single screw acts as a pivoting point that offers the buckle some range of movement. This will really come into play when tightening the boot in readiness for the trails. They also add some amount of flexibility when you get into action. But the best part is that they are replaceable! In the past, I’ve had to do away with several boots simply because one or 2 buckles started tearing off from their place. My Alpinestars 10 did this, by the way. So having a boot that actually let’s me replace the buckles is a really nice feature. How do your toes feel inside this boot? What I find so good about Sidi Crossfire 2 SRS is its very low profile toe box. This design gives me excellent feedback when shifting or braking. The toebox also has more room for my feet. Inside the toebox, your toes are protected from the hard plastics by synthetic leather that acts more like an onboard bootie without compromising the low-profile design. I’d also like to mention that the toebox is a one-piece heavy-duty plastic material that promises good protection and durability over time. Speaking of protection, this toebox has a steel insert at the front that adds another layer of protection to your feet from the ground and other objects. The one-piece design features only one stitch which, for your information, is recessed. This means that there is very little worry about it ripping off. Did you note its heel detail? This is another key feature with this boot. The hard plastic that forms the toe box extends all the way to the heel to create a really beefed up heel cap. This heel cap is nicely curved to the outside, so your heel slides comfortably into it. But do note that this outward curve creates some room around the ankle. That roomy feeling was a bit of an issue when I first put the boots on. However, the feeling was gone right after getting on the trails. The 3-piece detailing adds more comfort and stability. It also gives your ankle a natural shape and feeling. The heel system also features three extended ribs that help in upshifts. 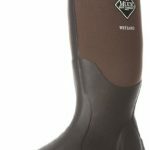 How durable is this boot? Durability is the good news with Sidi Crossfire 2 SRS. The thing with this boot is that almost everything is replaceable from the sole to the shin plate. This means that when one piece wears out, you won’t have to replace the entire boot. The most notable part here is the sole. Sidi offers you the opportunity to swap between different soles depending on the type of rides you’ll be engaging in offroad, enduro, or supermoto. On this note, I’d also like to mention the easily replaceable and adjustable calf system. The sheen plate is held in place by screws.So you can easily adjust its entire circumference, especially when wearing some heavy-duty knee braces. It’s also spacious enough to accommodate people with muscular calves. At the top of this boot, there is a full Velcro closure that comfortably hugs your calf and braces. It prevents soil and gravel from getting in the boot. On the inside, Crossfire 2 SRS is sports 2 materials. It features Cambrelle material at the top and air-wicking Teflon mesh at the bottom to keep your feet cool throughout the race. Perhaps the major setback with this boot is its price tag. As I’ve said before, you could get 3-5 low-end boots at its price. So if you can’t go beyond the $150 mark for a motocross boot, this isn’t yours. 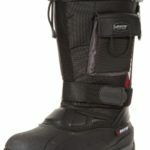 As much as I appreciate the effort that Sidi has put in this boot’s design, I find it quite complex to maneuver than other boots that I’ve used before. The wraps and straps might take you a little longer to put in place when gearing up. 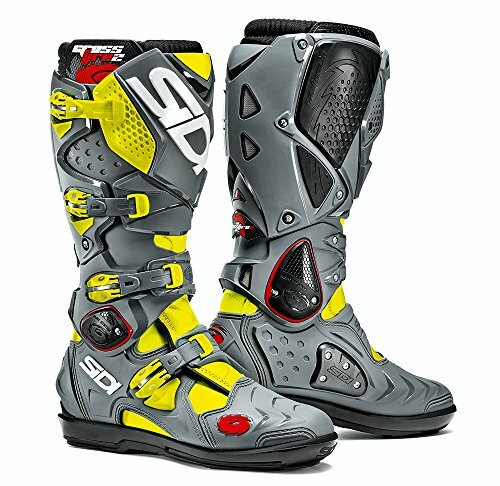 Weight is another downside with Sidi 2 SRS motocross boots. Considering all the tough plastics, screws, and metallic plates onboard, this shoe is among the heaviest I’ve had. Of course, this is a minor hitch since you’ll not be walking around in them. However, it might also affect how quickly you lift your leg back to the peg after a get-off. If you’ve made up your mind to break your piggy bank for this boot, be careful with the color. Sidi offers this boot in a range of colors; white, black, white orange, fluo yellow, and grayish metal among other. I own the white pair, and it requires immediate cleaning after every race. Despite all this effort, my boots are notably stained. So if you won’t manage to wash them straightaway, go for the black or gray metal boots. 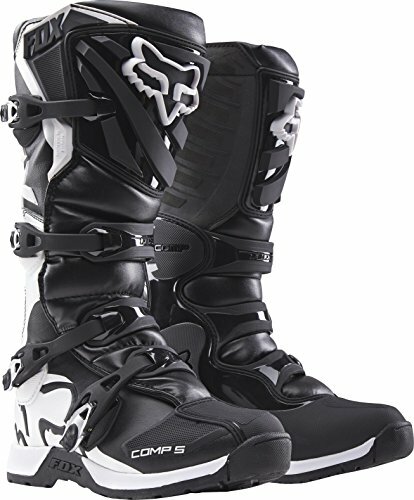 At around the same price as Sidi 2 SRS, you could go with the Alpinestars Tech-10 motocross boot from Alpinestars. As I hinted before, the key thing that was a complete put-off for me with this model was the bootie.That aside, the Tech-10 also has a really beefed-up protection system. This boot has a rather fatter toebox. So riders with wide feet won’t have a problem with it. The narrow-footers also will also find it comfortable thanks to the bootie. However, you’ll need to tighten the buckles well. I didn’t face any problem with the Tech-10’s flexing system. The front part of the outer sole is also slightly thin. As such, you get some reliable feedback from your bike. If you are just starting out on fun dirt biking, a 600-dollar boot might be overkill for you. 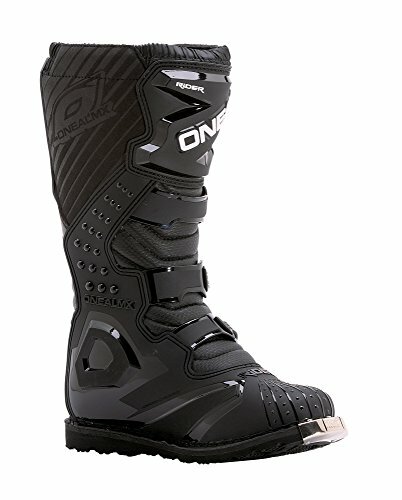 These O’Neal rider boots are among the most recommendable boots for beginners. They are inexpensive, and so is their construction. So you’ll really want to treat them a little bit fairly. In terms of protection, these boots have a comfortable heel and ankle support. It also has a heavy shin plate that also accommodates most shaped knee braces. What’s so god with them is that the buckles are replaceable. Fox Racing 5 boots are ideal for both the entry-level riders and the experienced alike. They are a few bucks pricier than O’Neal above but with some added reliability and comfort. What I like with the Comp 5 is that they allow long rides. Unlike O’Neal, they aren’t overly stiff to make shifting a problem. The buckles are alloy and provide a decent closure. In fact, I found these buckles a little bit easier to maneuver than the ones on Sidi 2 SRS. It has a reinforced shin plate and toebox that protects your foot from objects coming your way. One thing though, these boots run small. So you’ll probably want to order a size up. 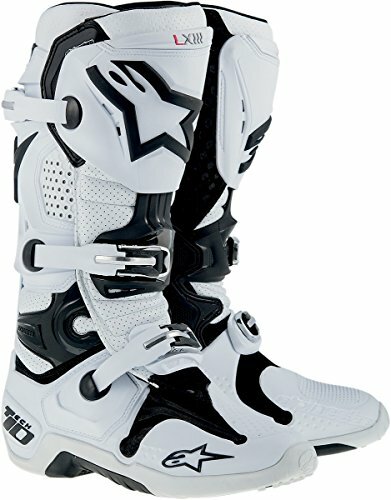 All in all, if you are looking for a decent pair of motocross boots to offer you protection as you save for a high-end model, Foxing Racing 5 fits the bill. In my opinion, Sidi Crossfire 2 SRS is what a serious motocross and supermoto rider should consider for the next season. These boots are a beast in terms of protection, reliability, and functionality. The fact that you can replace almost each of their parts is convincing enough. If you tend to wear out the soles of your boots quickly, the SRS 2 should be your go-to guys given that you’ll only be replacing the sole, not the entire boot. These boots are also super comfortable though not the lightest on the planet. 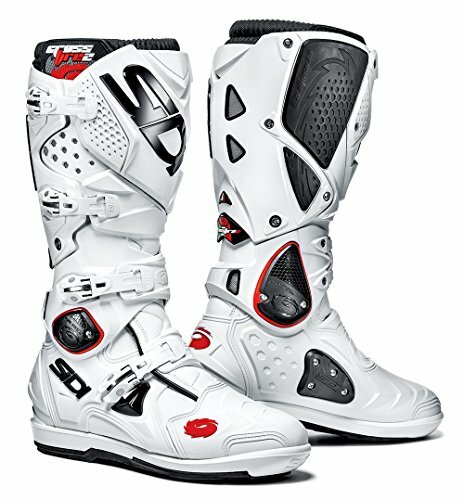 However, if you feel that they are way too pricey for you, Fox Racing 5 might be the boots for you. You might also consider O’Neal if you only need cheap motocross boots to train with. 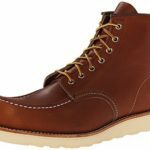 Redwing VS Timberland- Which of These 2 is a Real Value Buy?